From time to time, there are segments of every industry that show some promise when it comes to innovation. 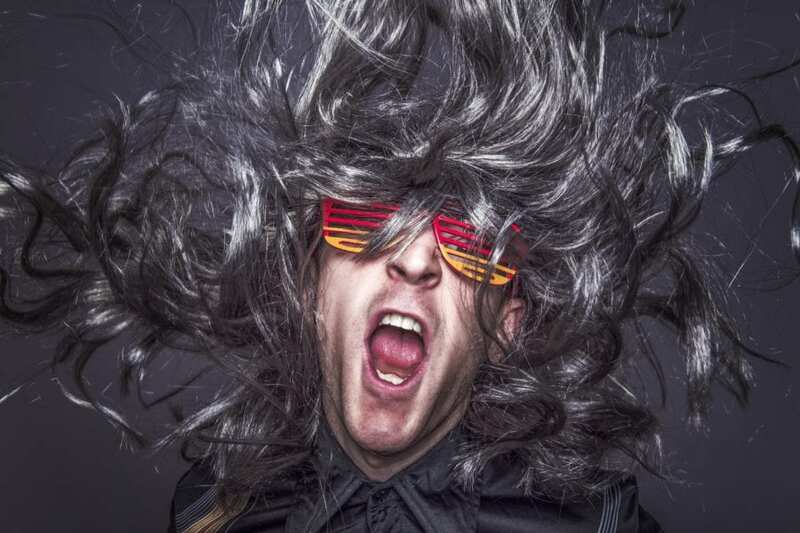 It typically starts with one brand making a significant change and the other brands waking up so they can stay in the game, and in some cases look to push innovation to grab that top spot. Headlamps have recently been part of this innovation surge where the focus is around rechargeable batteries. 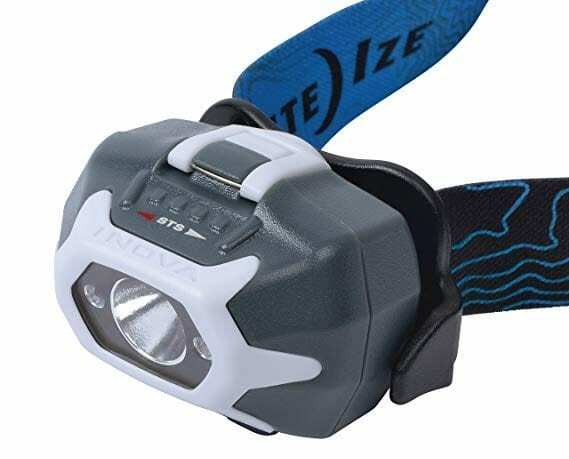 A few years back, there were a number of brands who started making headlamps with rechargeable batteries which was a welcomed innovation for headlamps. One downside with the early rechargeable headlamps was that after the battery started to push past it’s useful life, the headlamp was deemed useless and ended up in the gear cemetery in a storage box that you rarely open. 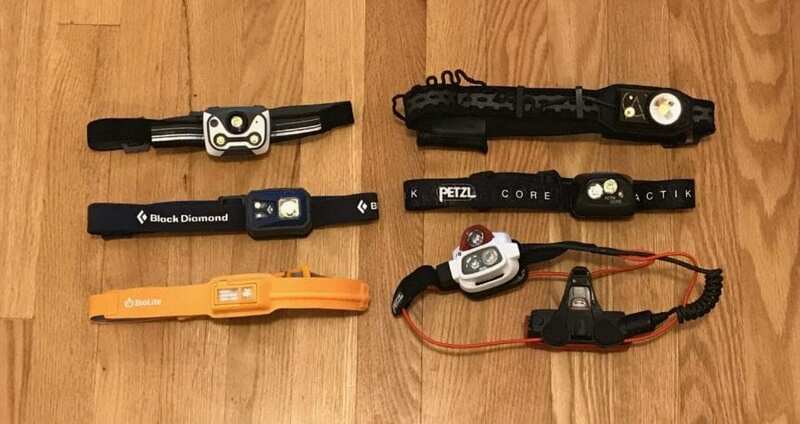 To address this issue, most rechargeable headlamps have transitioned to a replaceable rechargeable battery. These batteries are able to be removed from the headlamp and replaced with a new rechargeable battery that is is sold by the headlamp manufacture. 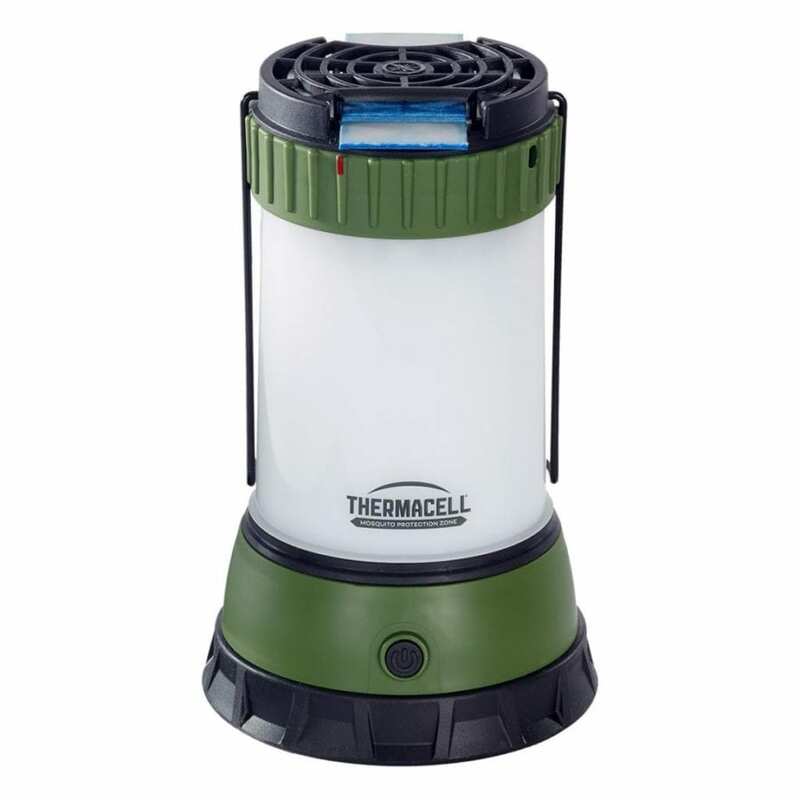 This is good from a financial and environmental standpoint because instead of tossing a headlamp that still works with exception to the rechargeable battery, all you need to do is swap out the rechargeable battery and you’re good to go. The BioLite 330 headlamp was conceived from a brand known for it’s innovation. This was the lightest headlamp that we tested and it was hard to tell it was even on our head. With the battery pack on the back, there was no bounce on the front of your head to speak while running, hiking, skiing, etc. In the past, the battery packs that headlamps used for the back of a headlamp were bulky and heavy, but the battery used with the BioLite 330 is incredibly light and packs a punch. 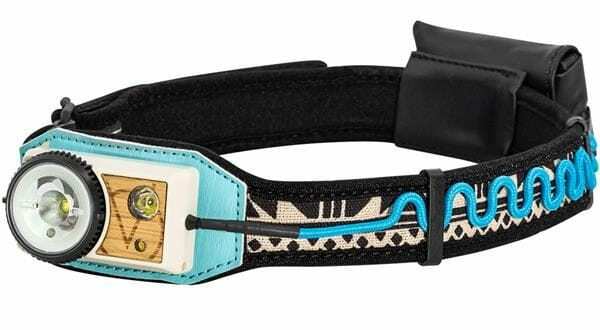 The band for the 330 headlamp is incredibly comfortable and easy to adjust on the go. For charging, there is an easy access micro usb port that has 4 little lights that show how much power the battery has. I had not tried or heard of UCO before, so when this headlamp showed in the mail for testing I was excited to see what it was all about. My first impression when I opened the box was that the headlamp was pretty light for a 300 lumen headlamp. This headlamps uses a dial to turn the headlamp on and off and adjust the lighting features. This dial is the easiest out of the group we tested for adjusting your light on the go. This is also the easiest to use with gloves or mittens when the weather is cold, even with big bulky mittens. Another feature I like with this headlamp is the battery located on the back. This keeps the headlamp super light on the front of your head which eliminates any bounces while running. 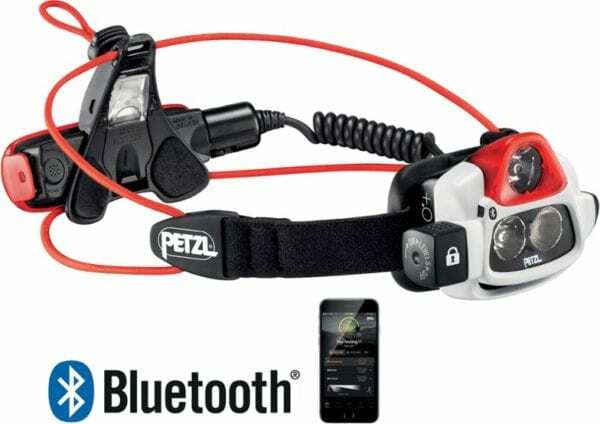 The Petzl Nao + is a complete beast. This headlamp is designed for the athlete who wants the best of the best in gear and does’t want to sacrifice. At 750 lumens of light, this headlamp provides enough light for almost any situation. I’ve found it most useful for night skiing while skinning up and skiing down at the resort. The additional blinking red light on the back helps you to be seen from the rear in case people don’t see the light shining in front of you. This is also where the battery is stored, so it balances out the weight on your head. If you want to reduce the amount of weight on your head, you can purchase the Kit belt Nao + for $34.95 which allows you to clip the battery to a pack or your waist and run a wire to the lamp. Instead of using the traditional elastic hand to fit to your head, the Nao + headlamp uses an elastic string like cord that cuts down on weight and is easy to make adjustments to. 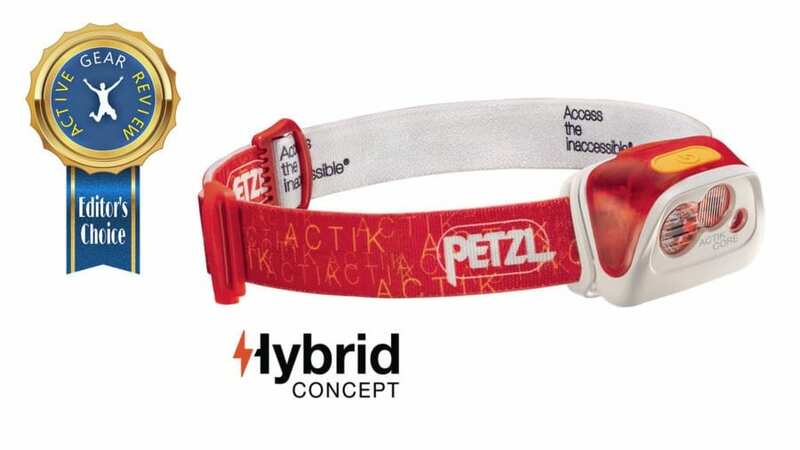 The headlamp is highly customizable using the Petzl app, which is an upside and a downside depending on who you talk to. 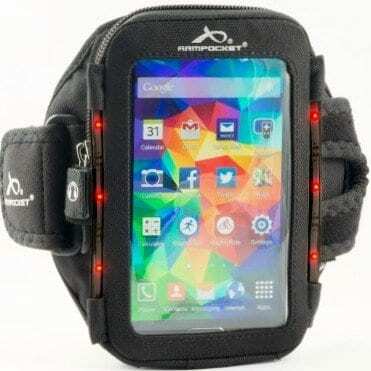 While a lot of the adjustment can be done through the headlamp itself, not everyone wants to have to download an app to make additional adjustments that takes up storage space and drains the battery on your phone. The INOVA STS PowerSwitch is the first ever rechargeable, two-color LED, multi-mode headlamp that can run on either the included Lithium Ion battery pack or three AAA batteries. With the lithium ion battery, the unit weighs in at a very light 2.3 oz, but shines the least bright of the headlamps tested at only 280 lumens. Winter adventures may not have been the best testing grounds for a headlamp which functions with a touch pad on/off switch. To use, I had to remove my gloves, but was easy once mastered. The sturdy design held up admirably during testing which included cold and wet conditions. Even with a couple of falls on a snowboard the strap held firmly. It functioned very well in temps not requiring gloves. The light was sufficient for foot speeds on trail. 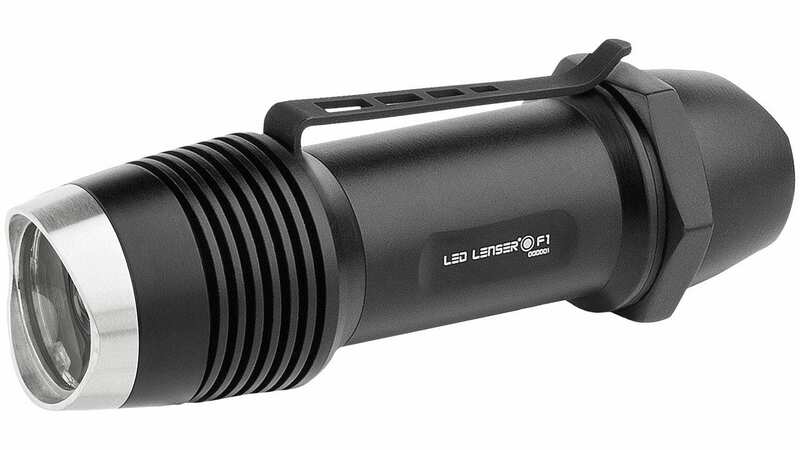 I would, however recommend supplemental light for high-speed trail adventures, as with any headlamp under 500 lumens.